I forgot to make the showing post last week, darn it. I'm making it immediately this time so I won't forget. 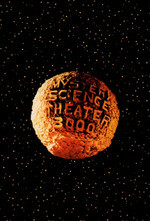 MST3K Club is Thursday nights starting at 7 PM Eastern (that's 4 PM Pacific). The main part of the show, however, is at 9 PM (6 PM). That's when we watch a bad preroll movie as a warmup. The showing is at https://cytu.be/r/Metafilter_MST3KClub. This is one of the short list of episodes where I find the movie itself too gross to really watch. Me too. Also Devil Doll. Giant Leeches is no picnic either. Another Horrible People Behaving Horribly movie. You're right, you can't stand this movie. But Gus can, and you're Gus.